and making sure everything went well and smoothly at the funeral"
130 Years Experience - We have been serving the local East Yorkshire area since 1888 and are a well established independent family company. We have experience in many types of funeral for all religious beliefs & practices. Transparent Pricing - Arranging a funeral can be an extremely challenging and difficult time. We aim to make sure there are no hidden costs whatsoever and are completely open with you throughout the process. Personal Touch - We understand that upholding and cherishing the memory of your loved one is invaluable. We will help you to create a special goodbye that is unique to your loved one's preferences and wishes. We are a totally independent British Company, run by the Garton family since 1888. We currently have three branches in Hull, one in Hedon and the one in South Cave. Our head office is at 546 Anlaby Road, Hull and has served the local community since 1932 and has been greatly extended and improved over the years. 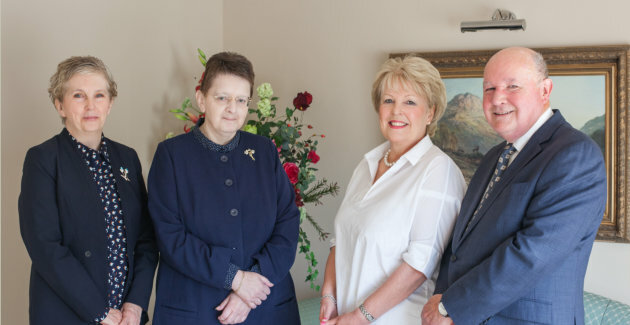 Our other offices also provide tasteful and comfortable surroundings whether you are calling to arrange a funeral or visiting the chapel of rest to pay your respects to a loved one. We have experience in all types of funerals for all religious denominations and we will do our best to grant any requests you make.